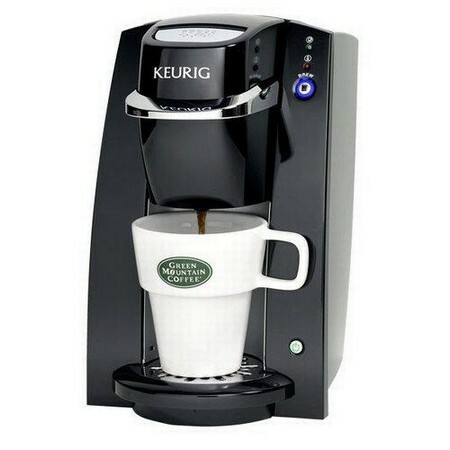 Keurig B30 mini brewers are the perfect size for your desk, dorm room, or even your boat. There is no water reservoir on this little machine, so it only takes less than three minutes to heat up the water. You can have a cup of perfectly brewed coffee within just a few moments and the coffee is always fresh. What does the Keurig B30 offer? There is no reservoir, so heating takes on three minutes. You add 8 ounces of water each time you want a fresh cup of coffee. There is no need to grind coffee each time you want a fresh cup. You can just pop in a new K-cup and enjoy a fresh cup of gourmet coffee. It is small in size, making them perfect to take on the go. This mini brewer is terrific for work, dorm life, or small apartment kitchens. Anywhere space is at a premium, you’ll find the Keurig B30 just the right size. The indicator light will tell you when it is ready to brew and you can even use your favorite 8 ounce cup. These features help make the Keurig mini B30 personal brewer one of the best in its class. This personal coffee maker will certainly make a big impression wherever you decide to use it. If you like to have a different cup of coffee each morning, the Keurig B30 offers over 200 varieties for you to try. Some of the most popular brands of coffee are available in the K-cups, such as Gloria Jean’s, Timothy’s, Green Mountain, and Coffee People. The K-cups are available in different strengths as well, like Columbian, Breakfast Blend, and other popular styles. If flavored coffee is more to your liking, you will also find flavors like French Vanilla, Hazelnut, and Mocha. The K-cups are also available in assorted packages, so you can always have a different cup of coffee to brighten your day. For those who prefer tea or cocoa, the Keurig mini B30 personal brewer is just the answer. This mini brewer is terrific for a quick cup of hot tea and there are K-cups available in many different flavors. Cocoa is always a family favorite and there are several flavors available as well. No matter what the preference, you’ll be surprised at the versatility of the K-cups and the quality of the beverage brewed. The Keurig B30 Mini Brewers are the perfect complement to almost any place; not just a kitchen. You can keep it on your desk at work for a quick pick-me-up when you most need it , on a holiday fits quite easily in a tote bag or take one in the RV for a late night cup of cocoa while you sleep in the countryside. The Keurig B30 mini brewers are simply one of the best single cup coffee makers available today and has low price tag that you cannot help find appealing.